There are 25 Medical Equipment & Supplies web directory related resources in this category! Global company designing and manufacturing medical devices which specialize in the science of aesthetic medicine. Aston Pharma provides a large selection of disposable nitrile gloves, overshoes, mop caps, animal and pet equipment and supplies and more biotechnology supplies. Deals on a variety of contact lenses. Get rebates and next day shipping on lenses such as Acuvue Oasys to Proclear Multifocals. Corindus Vascular Robotics, Inc. is a global technology leader in robotic-assisted vascular interventions based in Natick, Massachussets. Their CorPath System brings robotic-assisted precision to percutaneous coronary interventions. Offers quality medical supplies for affordable prices, and have professionals in the medical field on hand to help with medical equipment questions. Direct Supply's mission is to enhance the lives of America's seniors through their commitment to Senior Living. The PCID FUE Device from Dr. John Peter Cole is a automated and motorized FUE Extraction Tool. FUE Hair Transplant Extraction Machine helps the hair surgeons to be faster while the extraction process of the grafts. Offers three UV light disinfection robots that eradicate HAI-causing pathogens from hospital rooms and other healthcare environments. Provides billing services to healthcare providers and physicians. The official UK dealers of Molift Hoists. A company specialized in plastic thermoforming of highly-aesthetic, complex medical enclosures and products for the medical device industry. A registered online pharmacy in the UK which has partnered with Dr. Christian Jessen to help explain common medical conditions and the medications used to treat them. Get deals for Zoll AED Plus Defibrillators & Accessories at eMED America, your one stop shop for defibrillators & accessories. Emedamerica offers a flat $100 off on all new AEDs purchased along with free shipping. One of the largest suppliers of digital hearing aids, batteries and accessories in the UK. Book a free hearing test online available. Specializes in ICD-9 to ICD-10 transition tools, workshops, training and consulting services. Offers diabetic shoes and socks. Up to 60% off on diabetic footwear & other supplies. Services veterinarians, dentists, chiropractors, hospitals, medical clinics, colleges, military, soil engineering, and any other industry dealing with radiation sources. DRE is an medical equipment supplier of new and used medical equipment such as anesthesia machines, patient monitors, ESUs, and surgical tables. A LASIK provider in Atlanta, Houston, Louisville, Minneapolis. 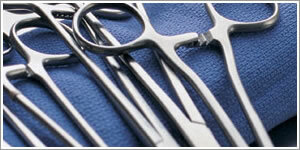 Manufacturer of innovative medical devices for patient safety, wound care, IV therapy, and more. MedWOW is a leading online marketplace for new and refurbished medical equipment, assists facilities in finding and purchasing used medical equipment. Offers veterinary equipment, medical equipment and lab diagnostics solutions. The Zoll AED is the only defibrillator that provides CPR practitioners with feedback directly from the AED device. The latest innovation provided by the Zoll AED makes the implementation of CPR easier than ever with the directions provided by the Zoll AED . Medical equipment & supplies contribute to maintenance of health & fitness. Without medical equipment, and supplies, health practices would be severely limited. There is a huge industry for this category, and many people make their living manufacturing, distributing, selling, and using medical equipment and medical supplies. Medical equipment is used for treating illnesses, conducting operations, testing, diagnosing and monitoring illnesses. Most equipment requires operation and maintenance by trained professionals. Some types of equipment you may see in a hospital or doctor's office include lighting, tables, instruments, monitoring gauges, medical imaging machines, ultrasound devices, pumps, lasers, and life support systems. Other medical equipment is used in laboratories, such as machines that analyze blood, urine, or genes. Diagnostic medical equipment & supplies can also be found in the home, as when a person needs to watch their blood sugar or blood pressure. Other types of medical equipment include prosthetic devices such as implants, lenses, and artificial limbs. When it comes to medical equipment there is a wide range of devices that are used in order to support life or identify certain health problems. Some of the most known and used pieces of medical equipment are the dyalisis machine, ventilators, monitors, MRIs and other devices used to analyze blood or urine samples. Usually the medical equipment is extremely expensive, especially the MRI machine. The government financially supports hospital to achieve such equipment and so do charitable organizations. The term of medical supplies usually reffers to the medication found inside a hospital or a medical institution. Any hospital must have all sorts of medicine because patient`s life can depend on them. Along with the medication, pumps, perfusions, bandages and catethers are also parts of the medical supplies. Although most hospitals have the necessary equipment and medical supplies, some lack in such sort of vital products and therefore some of them are not able to treat patients and support life accordingly. To sum up, if you are trying to find some medical equipment or supplies, you want to find somebody that can fix the broken equipment or you just want to know more about the companies that produce such kind of products, a web directory can help you with this and provide you a list of sites where you can find this sort of info. Supplies covers the materials and devices that are needed to operate or maintain medical equipment, provide first aid, bandages, lotions and ointments, needles, uniforms, and any number of other items. Consult a web directory for medical equipment & supplies for detailed information about these topics. It is recommended that every family have on hand at least the minimum amount of medical supplies one finds in an average first aid kit, to treat minor injuries and bites and stings. Emergency vehicles will be stocked with larger supplies, and equipment such as a gurney, tools to record and measure heart rhythm (EKG) and blood pressure, bandages, and other items necessary to provide live saving emergency care until the patient arrives at the hospital. Medical equipment and supplies are another segment of the health & fitness category that help contribute to better, healthier living.